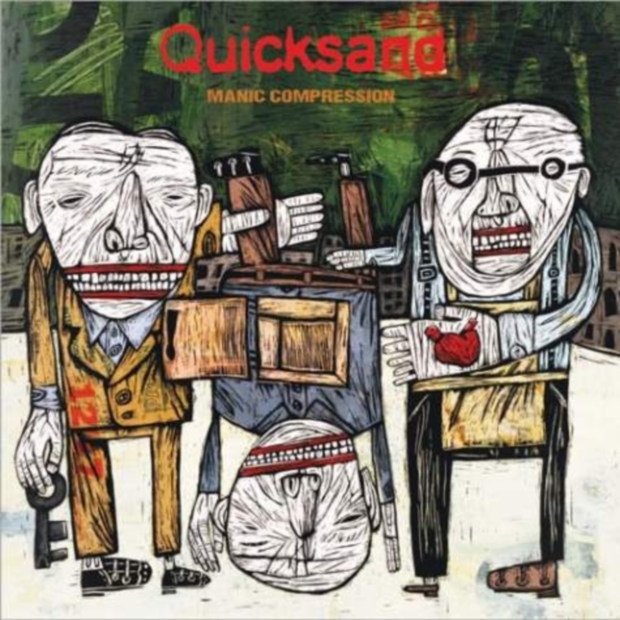 While there have been rumours of a new album, SRC Vinyl will release QUICKSAND‘s second album “Manic Compression” on vinyl on February 26th, two days before the 18th anniversary of its original release. The gatefold LP, available in four colours, is available for pre-order here. Originally released on February 28, 1995, “Manic Compression” was the follow-up to QUICKSAND‘s 1993 classic debut “Slip” and became their most successful release, peaking at number 135 on The Billboard 200 in America. Despite the success of “Manic Compression“, it proved to be their final album before their first break up.